You are here: Home > What Is the Inflation Adjusted Price of Corn? 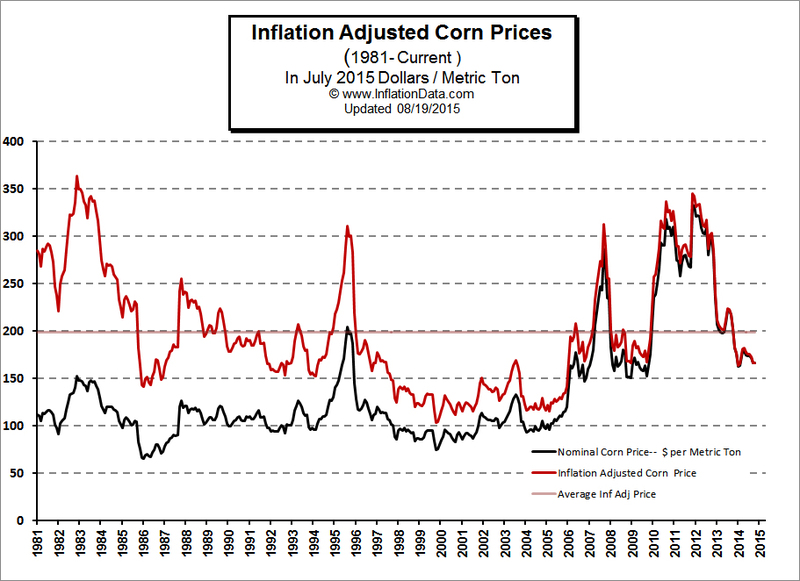 What Is the Inflation Adjusted Price of Corn? Over a 12 year period, from 2000 to 2012, corn prices exploded from a low of just over $75 per ton to a high of almost $333 by August of 2012. In July of 2000 corn was making lows of around $75/ metric ton with highs for the year up around $95/ton. Obviously , corn is volatile if it can move 30% in a few months. This can be due to weather conditions causing crop failures or other external factors. On the other hand weather alone doesn't account for the quadrupling of corn prices by August of 2012 when corn was selling for over $332.95 a ton. There was speculation that the dramatic increase in the price of corn was the result of ethanol becoming part of the gasoline mix which drove up demand in excess of supply. It obviously took several years for farmers to ramp up production but beginning in 2013 prices began to fall again bringing prices back down to 2006 levels. But how does that price compare to historical corn prices? As we always say, the only way to see the true picture is to look at the price in "inflation adjusted" terms. In the chart below, the black line represents the nominal (or actual price) per ton of corn since 1981. As you can see the nominal price stayed between $75 and $150 up until 2006. The only exception was a couple of months during 1996 when prices spiked up to $200. From 2006 onward however, prices began climbing and even with the recent fall still haven't gone below $150 a ton. One of the reasons given for this new "floor" under the price of corn is the increased demand from ethanol producers who use it to produce a gasoline additive / alternative. However, when you adjust corn prices for inflation you find that the current decline in the price of corn is actually bringing the price lower than the average inflation adjusted price from from 1981 to the present. So even though ethanol is being added to gas the impact on corn prices wasn't permanent. Corn prices still haven't reached the lows attained from 2000 through 2006 when the inflation adjusted price ranged between $100 and $150 per metric ton but at $166.31 it is certainly getting close. It is not surprising to see corn and other commodity prices falling along with oil. All commodities rely on oil for production and transportation to some extent (unless you are using oxen to plow your field). So you would expect a positive feedback relationship for the price of oil. But there are other reasons too. Both oil and corn have become somewhat interchangeable with the advent of corn based ethanol. 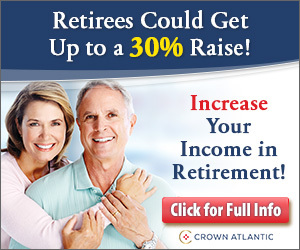 But an even more important reason is that inflation is primarily a monetary event. It is caused by an increase in the money supply and as time goes on it spreads evenly over all commodities. Initially, corn or oil or pork bellies may rise quicker but as time goes on it levels out somewhat like water flowing to all the various commodities. See the article on the Inflation implications of Ethanol for more information. Inflation based on CPI-U for U.S. Bureau of Labor Statistics.